Nowadays Pinterest become the genuine oracle for the bride and grooms to be. We can find there a huge number of inspirations from all over the world but also check which trends are the hottest during upcoming wedding season. 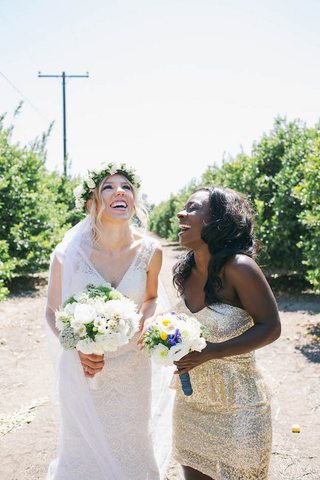 According to Pinterest, the new direction of nuptials in 2017 is all about personalization and having fun, from printed bridesmaid dresses in lieu of mismatched solids, to the taco bar riff on family-style buffets. Couples are ditching standard cocktail hours and giving guests a fun and tasty alternative: food and drink pairings. 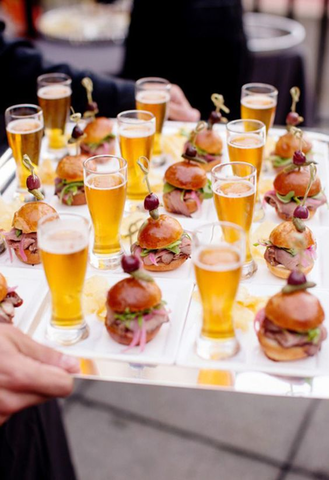 Think sliders with shots of beer, or oysters with sparkling wine tastings. 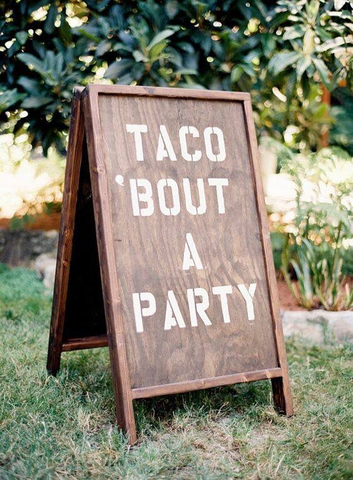 Taco bars let guests build their own tacos while you mix and mingle. Who’s ready to eat like there’s no mañana? Off the shoulder styles have been huge in apparel, but the trend has made its way to Bridal style, with off the shoulder wedding dresses. RIP fussy bridal updos. This year it’s all about simple, polished glamour. Bartenders can be expensive. 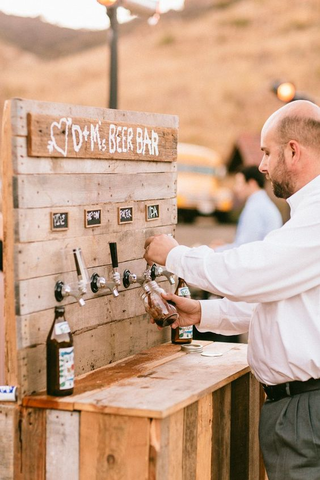 Let your guests personalize their beverage choices with a DIY drink station. 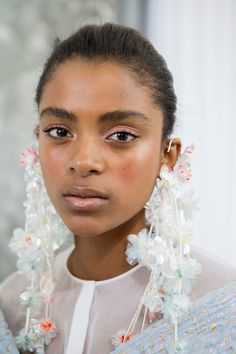 Pink eyeshadow adds a subtle, romantic touch. Frosting lovers, rejoice! 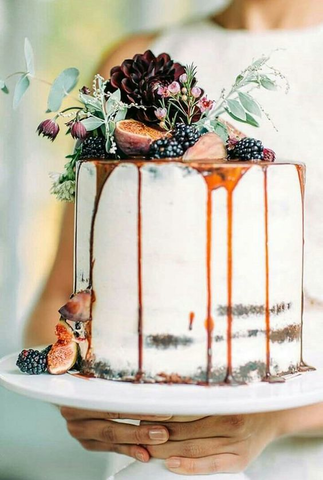 Drip cakes are the new naked cakes. Brides are swapping the classic red lip for a fun, dramatic berry lip. Because tattoos + marriage = forever. 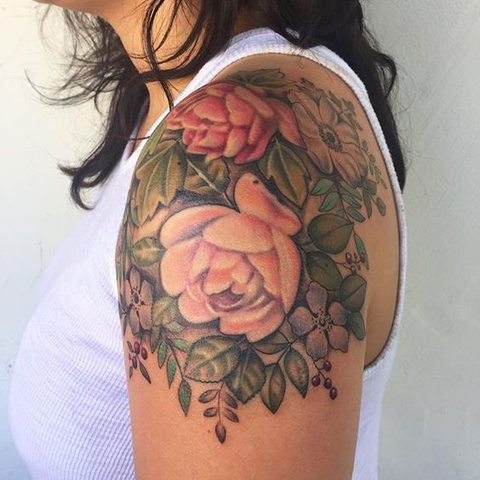 Couples are getting inked with their wedding date, wedding bands and floral bouquets. Forget fussy updos. Natural hair is a classic and timeless look. 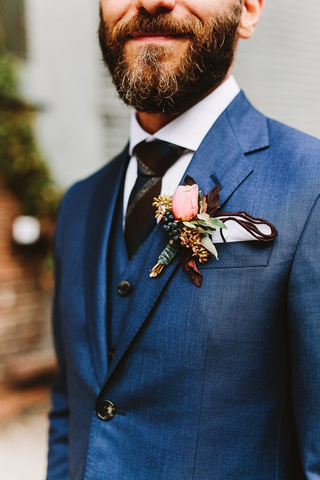 Grooms are forgoing traditional black or navy suits for a more fun, brighter blue hue. 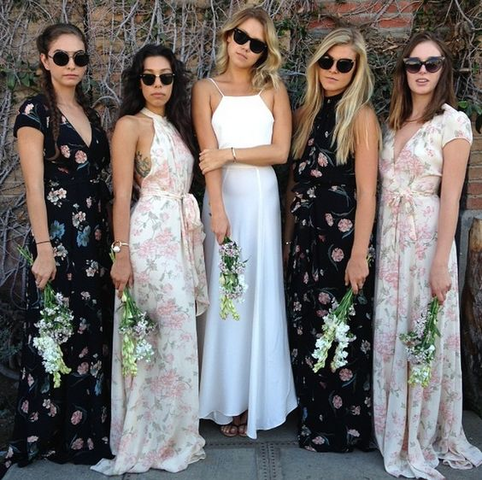 Less is more – brides are choosing to go with fewer bridesmaids, or sometimes non at all! This decision ensures the focus is all about you and your partner. 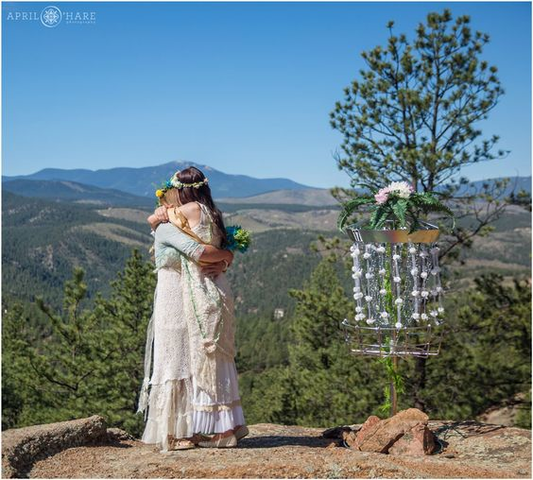 Outdoor, mountainside destinations (think Pacific Northwest) are the top choice for eloping couples. 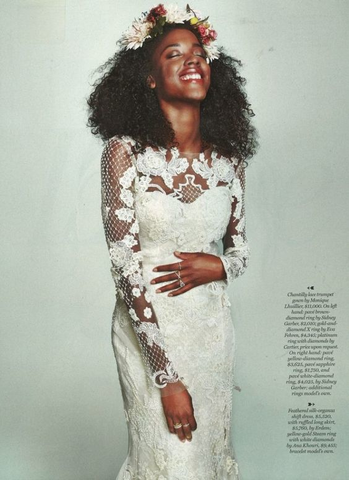 Millennial brides are choosing ready-to-wear dresses for their tribe that are stylish and affordable. Floral prints are front runners, and a look they can actually wear again. 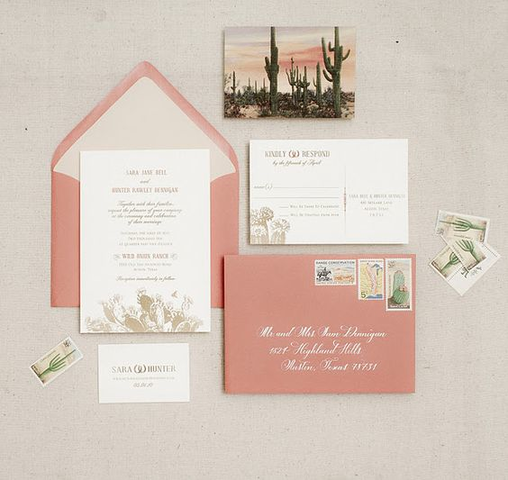 Pink is having a moment in fashion and design, and it’s making it’s way into the wedding world. This isn’t the pink of the past – it’s done in a cool new way.